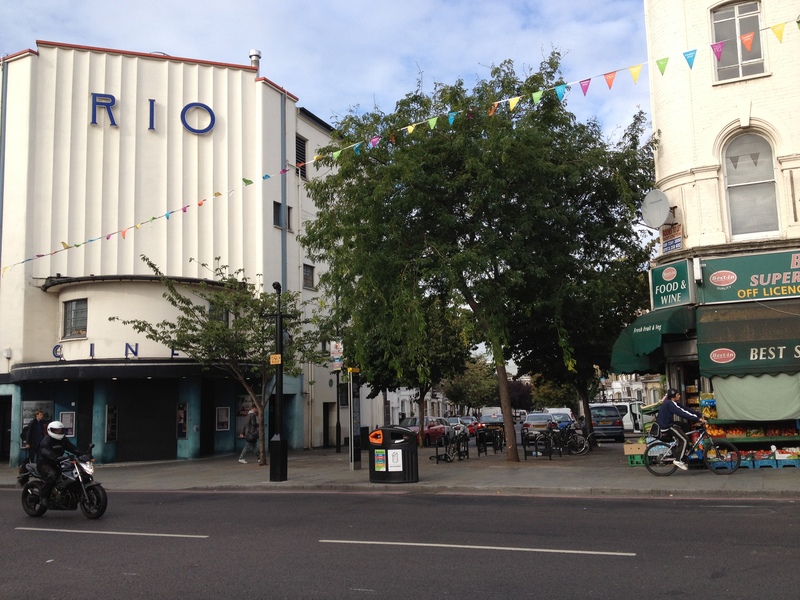 The Rio Cross Residents Association represents people who live in the part of Dalston that centres on the much-loved local landmark, the Rio Cinema. This is a vibrant part of London with a rich history. It is home to people from many different cultures with multi-generational households living alongside young people who have recently moved to the area. Retail businesses, including the famous Ridley Road Market, share the public spaces with cultural industries, local residents and a thriving night-time economy. Rio Cross Residents want to keep these different communities in balance and in harmony. We are worried that unregulated growth of the night-time economy might damage the needs of daytime businesses and local residents and destroy the very special character of our neighbourhood. To represent the residents of the Rio Cross area of Dalston to Hackney Council, the Metropolitan Police and other bodies that contribute to the management of our public spaces and provide local services. In particular, to voice the views of residents to planning and licensing sub-committees and represent them in planning consultation procedures. To work alongside other stakeholders towards the development of public policies that ensure that Dalston is developed in a way that genuinely balances the needs of residents, creative industries, retail industries and the night-time economy. To protect the quality of life of local residents with particular reference to the impact of anti-social behaviour associated with the overconsumption of alcohol and drugs. To protect the visual environment and ensure that any new developments are of a high architectural standard and are sensitive to the existing architectural heritage of Dalston. To ensure that new developments provide good-quality affordable housing in order to ensure a continuing diverse social mix in the Rio Cross area. The iconic Rio Cinema is the landmark at the heart of the Rio Cross area of Dalston, in Hackney, East London. To contact the Association, email us here. 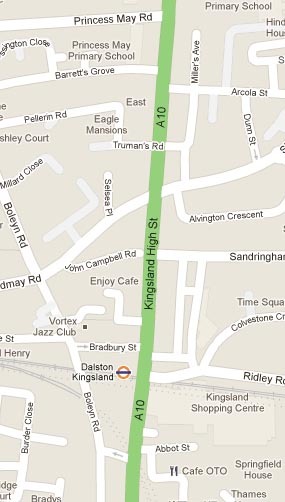 This little strip of the A10 is currently the centre of an explosion of night-time activity, fuelled by a large and growing number of clubs, bars and off-licenses. The Rio Cross Residents Association wants to see this development controlled, to keep a balance between the night-time economy, daytime businesses and the quality of life of local residents. Sustainably managed development is in the interests of everybody who cares about the long-term future of Dalston.